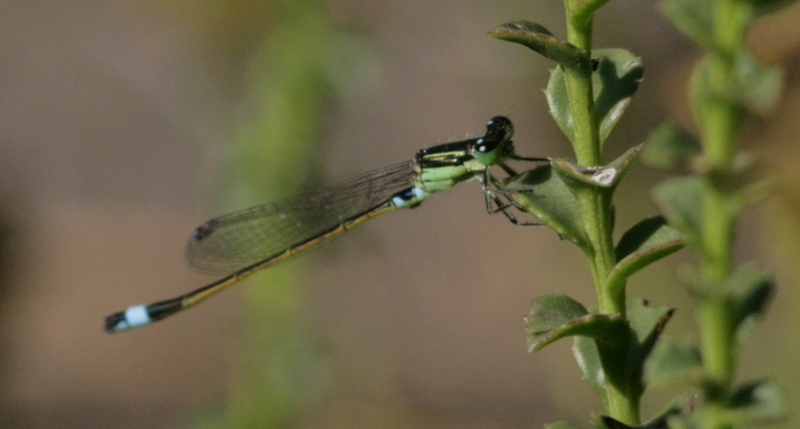 February and March are the Cape’s best months for watching dragonflies and damselflies. Here are a few species photographed in our Birding Africa Cape Town garden. Two pale diagonal stripes on the side of the thorax and a cream-coloured stripe between the shoulders typifies this female Two-Striped Skimmer, Orthetrum caffrum. Females are ochre-coloured, while males are waxy blue. The Common Bluetail, Ischnura senegalensis, represents its entire genus in sub-saharan Africa. A bicoloured pterostigma in the forewing distinguishes it from sprites and bluets. Females can be olive, cinnamon, blue or green. Here are some more photographs from wildlife in our Birding Africa office garden. I visited your garden and I am always surprised to see all the birdlife , butterflies, cameleons, etc… and all the fynbos !!! Congratulations , you are true nature-lovers. Keep up the good work and the planet will be a better place for all living things and creatures.